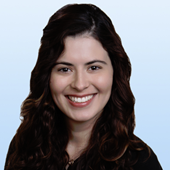 Kristen Wanamaker manages the marketing efforts for all teams within the leasing departments at Colliers, including Suburban, Urban, Cambridge, Life Science and Retail. She provides creative direction for marketing strategies and coordinates all marketing campaigns. Kristen is responsible for project positioning, social media, event planning, branding and advertising and all other marketing aspects within brokerage. Prior to joining Colliers, Kristen spent five years working at Country Sun Realty, an independent real estate agency in Rockland County, New York. While at Country Sun Realty, Kristen served as a sales administrative assistant for the office, where she assisted with sales and lease agreements, as well as creating marketing material and overseeing the company’s website and social media presence. 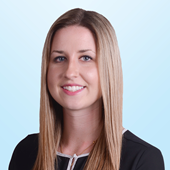 Christina joined the Colliers International team in 2018 as a Marketing & Leasing Associate where she works collaboratively with the Marketing & Client Manager along with the Suburban, Retail, and Downtown Brokerage Teams. In this role Christina is responsible for developing and implementing coordinated marketing plans for property listings, email marketing campaigns, and creating visual presentations. Prior to joining Colliers International, Christina spent two years as a Marketing Assistant/Videographer for Granite City Electric. During her time at Granite City she assisted the VP of Marketing and Marketing team with all marketing efforts and was the internal videographer. Within this role she filmed/edited all internal videos for the company, created collateral sales pieces, helped execute promotions, and assisted with all aspects of email and social media campaigns.